From 1971-1972, Chwast and Milton Glaser art directed Audience, a hardcover magazine focused on art and culture. Notably devoid of advertising, the form allowed for great experimentation. 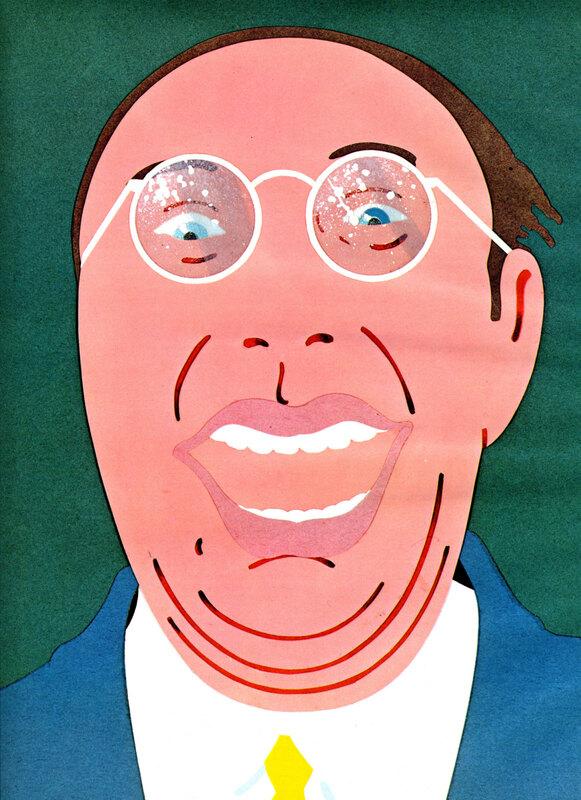 This piece, for an article on comedy, bears a noticeable resemblance to Glaser.